Barrier bagged, warehoused at warehouses of SDI, Avezzano, near Rome, Italy. The system is a 2-piece inspection station, consisting of the main unit, and the instrumentation unit. 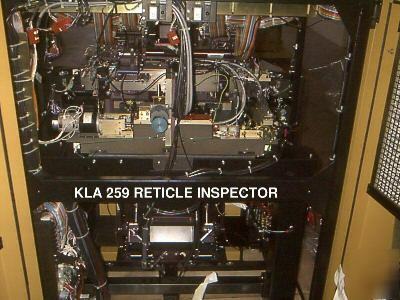 The instrumentation unit includes an IAS (Image Acquisition System), which is a PC based system that allows electronic highlighting of the defects captured on a second monitor installed in the unit. Slot 21 710-037887-01 B BMMC M2A with RIA signal mod. Price for sale including installation on a "best effort" basis and including installation to specification can be quoted on request. Conversion to 0.36 pixel size is also possible.